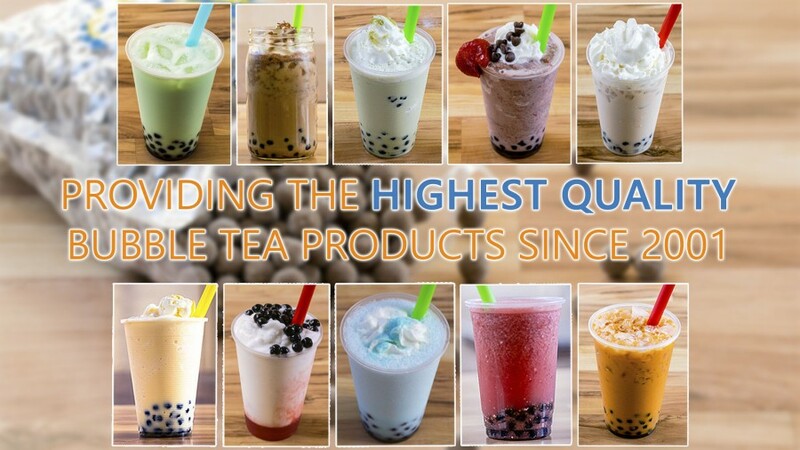 So what makes Bubble Tea Supply products so good? Our Premium Tapioca Pearls cooks twice as fast and stays chewy twice as long. Our Flavor Powders have more servings. We don’t dilute our powders with creamer to sell them cheaper. No maleic acid, plasticizers or melamine. Bubble Tea Supply makes it simple to make the perfect drink. The key to a successful business is award winning products that will set you apart from your competition. With Bubble Supply, you will start with the best products, knowledge with our training, and tools that will help you succeed. We share with you our secrets so that if you’re a success, we are a success. You will soon be dancing around like the tapioca pearls in your cup of bubble tea!